With the ability to connect to and control your signs from any internet connected device, the SafePace Cloud adds a whole new level to intelligent traffic control. With the unlimited possibilities of remote management, SafePace Cloud will help you maximize what your SafePace signs can do. 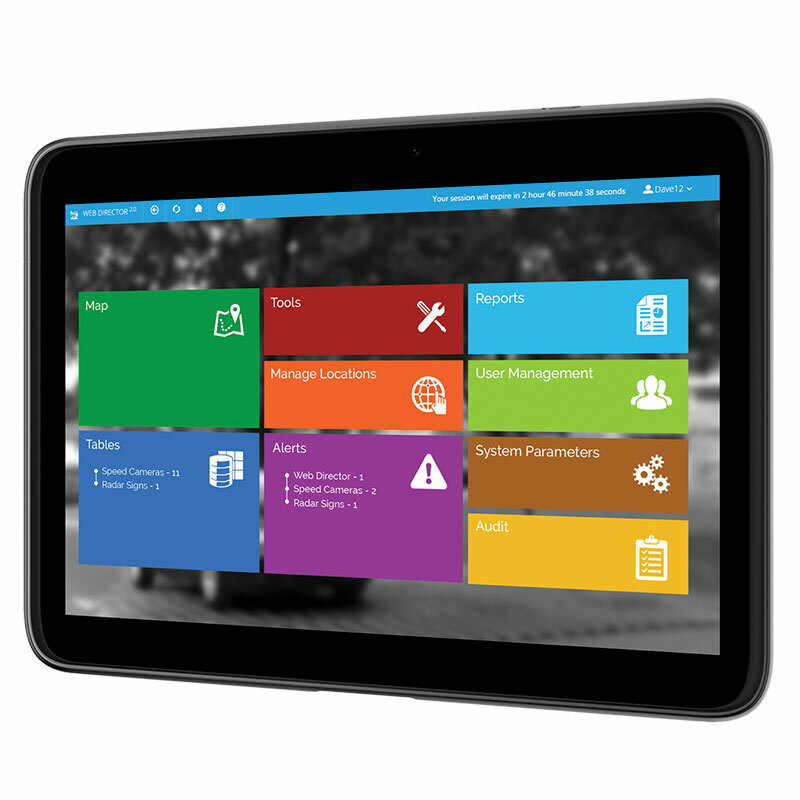 Manage all your signs from one screen, accessing more granular data simply and quickly. 1 click scheduling lets you update signs individually or simultaneously. View at-a-glance updates, access real-time data, see data overview or details, and generate reports to analyze and improve your traffic management program. View all your signs from one screen using our interactive mapping tool. Zoom in on individual signs to access detailed stats and/or update settings. No software install, no hardware required, access a wealth of intelligent traffic data from anywhere, anytime. Set-up automated alerts for speeding thresholds, low battery, or tampering. Receive updates via email or text. Improve workforce efficiency and optimize resources by reducing travel time required for sign management.